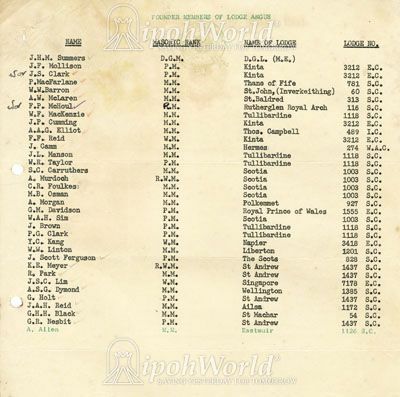 This two-page letter shows the list of Founder Members of Lodge Angus. 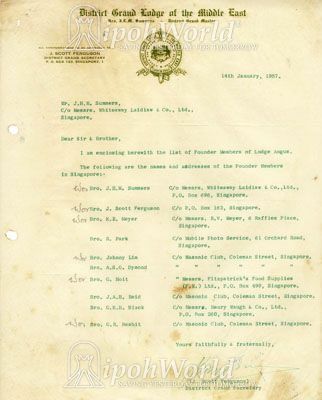 This letter, dated 14th January 1957, was addressed to J. H. M. Summers (of Whiteaway Laidlaw & Co . Ltd., Singapore), and it was written by the Secretary of the District Grand Lodge - J. Scott Ferguson.